As has been outlined, quantum field theory can be described as a composite of theories that attempts to explain the particle model in terms of quantum dynamics. In this respect quantum electrodynamics is a description of the most fundamental elements of the particle interaction model, i.e. electrons and photons, and is therefore an appropriate point to start. As a generalization, QED is said to describe the dynamics of electrically charged particles, e.g. electrons, interacting by means of an exchange of photons. However, mathematically, QED is described in terms of the complexity of a perturbation theory within an electromagnetic quantum vacuum. In an attempt to address this inherent complexity, Richard Feynman, one of the key contributors to the development of QED, gave a series of lectures on this subject, which he hoped could be understood by a wider audience. These lectures were transcribed and published in 1985 and entitled ‘The strange theory of light and matter’. In part, this opening section of discussions will attempt to review some of the examples outlined in this series of lecture, which start with the reassuring premise that the complexity of QED can be described in terms of just three simple actions. Photon go from one point in spacetime to another. Electrons go from one point in spacetime to another. Electrons emit or absorb a photon at a given point in spacetime. 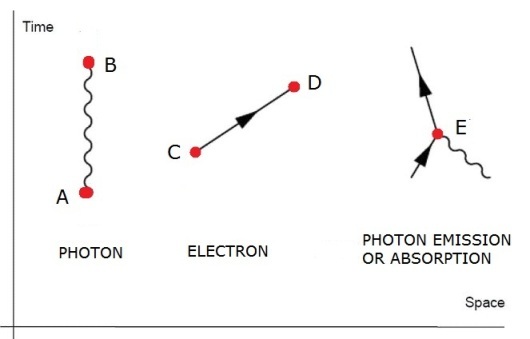 One possibility is that the electron will move from [A] to [C], while the photon moves from [B] to [D]. If we can calculate the probabilities of each of these subprocesses, i.e. 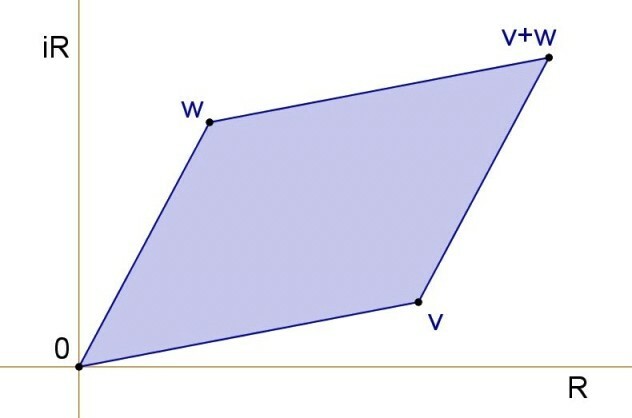 E(AC) and P(BD), then theory suggests the probability of E(AC) plus P(BD) happening can be calculated as a product of the individual results. However, the diagram above also suggests that there are other possible permutations, as such, the probability of more complex processes has to be calculated as a ‘superposition’ of all possible outcomes. In practice, it might appear that there are an infinite number of possibilities, which might suggest that this process could turn into an impossible task. However, perturbation theory linked to the idea of a ‘coupling constant’ allows this complexity to be reduced in scope depending on the accuracy required. But how is this description of probability reconciled with earlier descriptions? 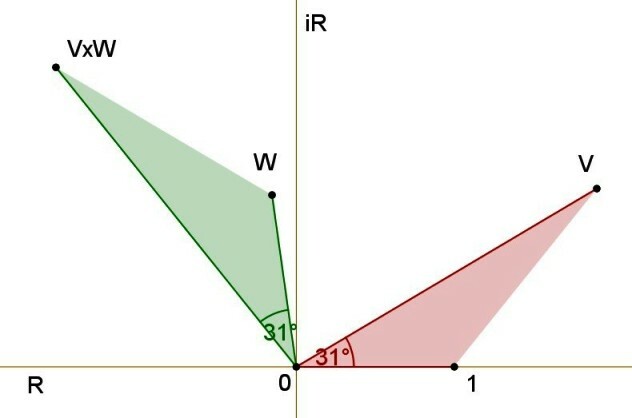 We might initially try to quantify the rules regarding adding or multiplying the arrows [v,w] in the same way we might add or multiply probability amplitudes, which are complex numbers in a complex vector space, e.g. o They imply nothing about how a particle gets from one point to another in space or time. o They do not imply that the particles are moving in straight or curved lines. o They do not imply that the particles are moving with fixed speeds. o The representation of a photon as a wavy-line does not imply that it is more wave-like than an an electron. Schwinger was jointly awarded the Nobel Prize in Physics in 1965 for his work on quantum electrodynamics (QED), along with Richard Feynman and Shinichiro Tomonaga. 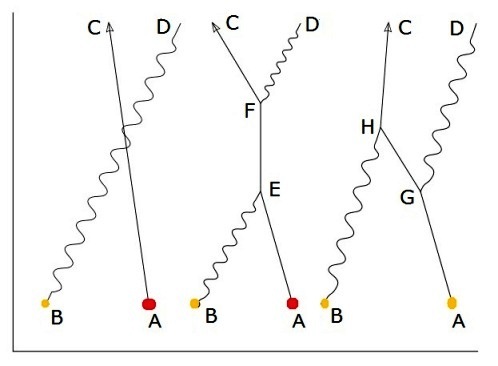 However, Schwinger disliked Feynman diagrams because he felt that they made the student focus on the particles and forget about local fields, which in his view inhibited understanding. He went so far as to ban them altogether from his class, although he understood them perfectly well and was observed to use them in private. "The more you see how strangely Nature behaves, the harder it is to make a model that explains how even the simplest phenomena actually work. So theoretical physics has given up on that."